(Optional) Add 1-2 Tbsp. 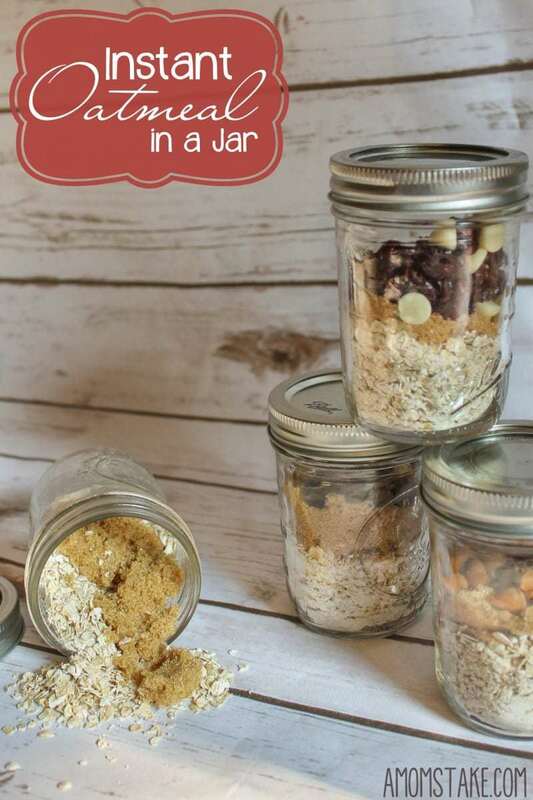 chocolate chips, nuts, or dried fruit. When you're ready to prepare the instant oatmeal, just add ⅔ cup of boiling water and stir. Don't forget to add a label for directions and to mark each flavor. The simplest way to do this is to trace the lid of your mason jar onto paper, cut it out, and slip it between lid and ring. Write the preparation instructions and the flavor you created. Or you can write the preparation directions on the back of the printable tag.